Nearly 90 years after Werner Heisenberg pioneered his uncertainty principle, a group of researchers from three countries has provided substantial new insight into this fundamental tenet of quantum physics with the first rigorous formulation supporting the uncertainty principle as Heisenberg envisioned it. In the Journal of Mathematical Physics, the researchers reports a new way of defining measurement errors that is applicable in the quantum domain and enables a precise characterization of the fundamental limits of the information accessible in quantum experiments. Quantum mechanics requires that we devise approximate joint measurements because the theory itself prohibits simultaneous ideal measurements of position and momentum -- and this is the content of the uncertainty relation proven by the researchers. 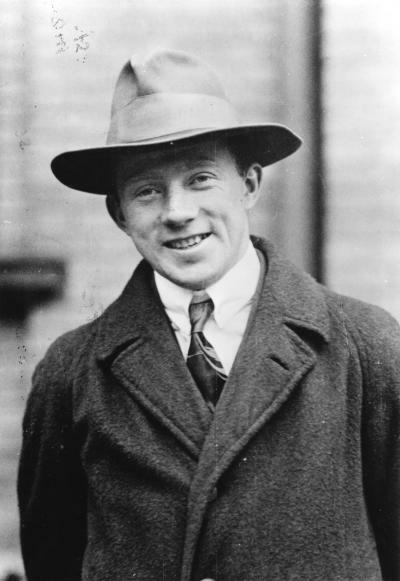 "Curiously, since Werner Heisenberg, one of the founders of quantum mechanics, gave an intuitive formulation of this principle, it was only recently that serious attempts were made to make the statement precise enough so that one could check its validity," said Paul Busch, Professor of Mathematical Physics at the University of York, who collaborated with Pekka Lahti of the University of Turku in Finland and Reinhard F. Werner of Leibniz Universität in Hannover, Germany on the work. "Our method of defining the error and disturbance in quantum measurements enabled us to prove an error-disturbance trade-off relation just the way Heisenberg envisaged it," Busch said. The first step was to prove an uncertainty relation for a special class of approximate joint measurements of the position and momentum; a class with nice symmetry properties. The main difficulty was then to find a way of reducing the most general case to this symmetric case. This involved a fairly complex chain of arguments using some deep ideas of advanced mathematics. Formulating and proving a family of measurement uncertainty relations for canonical pairs of observables resulted in one possible rigorous interpretation of Heisenberg's 1927 statements. "We were able to define measures of error and disturbance as figures of merit characterizing the performance of any measuring device; thus, our measures describe how well a given device allows one to determine, for instance, the position of an electron, and how much it disturbs the momentum," explained Busch. "We believe that our approach is the first to provide error measures that are not merely mathematically plausible but more importantly, can be estimated from the statistical data provided by the measurement at hand, so that the numbers one identifies as "errors" are in fact indicators of the quality of the experiment." This work is particularly timely and significant since some recent research calls the Heisenberg principle into question. The quantum mechanical inequality proposed by M. Ozawa in Japan, if its interpretation were correct, would suggest that quantum uncertainty might be less stringent than had been thought for the last 80 or so years. If these claims were tenable, it would seriously impact our understanding of the workings of the physical world. Busch, Lahti and Werner argue that this approach is flawed as Ozawa's inequality is meaningful as an error-disturbance relation only in a limited set of circumstances. The results of this research -- a proof of a variety of formulations of measurement error (and disturbance) relations -- highlights the fundamental limits of measurements in quantum physics. Since modern technology has been progressing steadily to controlling smaller and smaller objects (e.g., nanotechnology, quantum computation, quantum cryptography), the time is approaching where device performance may confront the ultimate quantum limits. These results may, for example, corroborate the security of quantum cryptographic protocols insofar as these are based on the validity of the uncertainty principle and the Heisenberg effect. What is next for this research? "Surprisingly, we are only just witnessing the beginnings of a systematic conceptualization of measurement error and disturbance," Busch said. "No doubt researchers will find interesting new error relations, for instance, based on entropic measures. It appears that the recent quantum uncertainty controversy has already inspired numerous researchers to start their own investigations in this area."